Every year, the Pittsburgh Marathon draws over 25,000 runners and the city comes alive with excitement and activity. 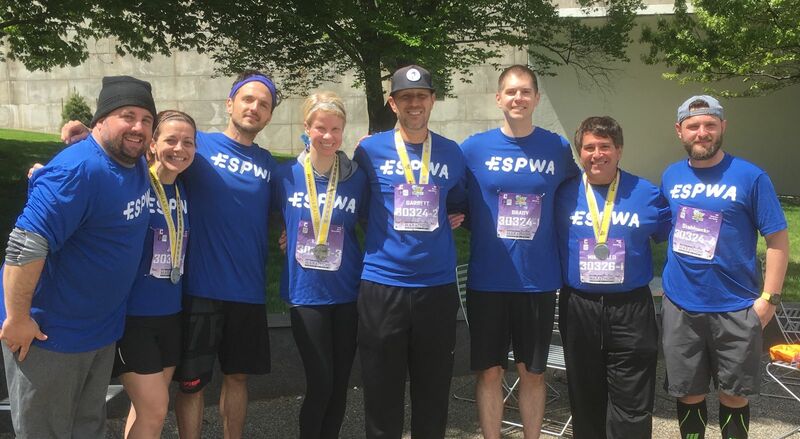 The Espwa Foundation is proud to field ano ther round of relay teams and individual runners this year. This is our third year participating as an organization, and this event has grown into one of our largest fundraisers. That's particularly exciting for us, because the more funds we raise each year, the more lives we can impact in Haiti. We can't do this without our network of amazing supporters! The Espwa Foundation is a 501(c)3 non-profit organization dedicated to impacting those in poverty in the Cap Haitien, Haiti region. "Espwa" is the Haitian Creole word for "hope." We believe it's all about relationships and that through long-term development, we can truly help our brothers and sisters in Haiti. We don't just throw money at problems, or give handouts when they are not the appropriate type of intervention. We assess situations, get to know those involved, and come up with strategies to achieve personal and professional growth. In our project portfolio, we engage in medical relief by partnering with local physicians, and undertake development efforts across the spectrum: family support, farming, small business, pastoral support, and more. Join our movement of hope in Haiti today!